In 2017 we welcome the inclusion of our new LSU into the Charnwood-Dunlop School community. The inclusion of this unit expands our diversity and provides multiple opportunities to increase the learning experiences of all our students. Late in 2016 the need for an additional LSU in the Belconnen area was raised. 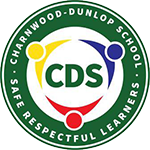 Charnwood-Dunlop was identified and the ACT Education Directorate carried out plans to finalise this inclusion. This small group initiative caters for a maximum of 8 students who have a variety of individual learning needs. Students are able to apply for positions in the unit through a Disability Education application process. Central placements consider a variety of important elements before offering families positions at units across the system. This process involves consultation between a number of parties including: ACT Education Directorate, Network Student Engagement Team (NSET), National Disability Insurance Scheme (NDIS), school principal, school Disability Education Contact Officer (DECO), Executive Teacher/Team leader, teaching team and support staff. K-4. Dawn Schwalm is the classroom teacher and Tracey Lalor is the Learning Support Assistant (LSA). The students in the LSU have their own Individual Learning Plans (ILP) and the curriculum is differentiated to cater for individual needs. Students are also supported by outside organisations (e.g. therapists, paediatrician, psychologists). Although students work in a separate classroom environment, they regularly engage within mainstream classrooms to support their ILP goals. LSU students regularly interact with students across the school during play times each day, library sessions, assemblies and whole school events. We are delighted to foster this positive addition to our Charnwood-Dunlop School and the experiences that it will bring for students, staff and the greater school community.